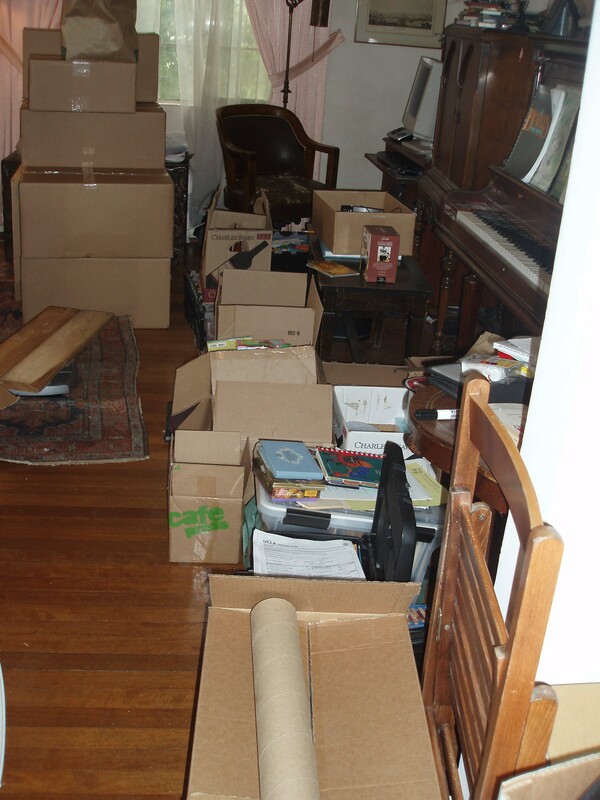 Getting started with the packing project. The piano stays home. When we started looking into shipping our stuff to Syria, the first few companies we called pretty much told us it couldn’t be done. Like, you can’t get there from here. Axis of Evil and all that. Soon afterwards we got a message from one of the administrators at our new school warning us to be careful about choosing a shipper. His own shipment had been handled by “morons” who declared they could not deliver due to embargoes – unfortunately this was after they had already picked up the order. His stuff took two months to arrive in Damascus. So we poked around and asked some more questions. The school recommended a certain company on the Syrian end. We contacted them and they gave us the name of an American shipper they often work with. We arranged for that company to handle our stuff, but they had to subcontract with another shipper that serves Medford. So our things will actually be picked up here by one company, get shipped overseas by a second company, then travel from the port to the school with a third company. I guess we just have to trust that all the links will work out and our stuff will arrive in a timely manner. We will for certain follow the instructions in our new teachers’ handbook, which advises us to bring enough in our suitcases for the first few weeks of school. Just in case. Update: You should have seen the guy who came from the Medford company to give us an estimate. He was wearing a big cross around his neck and kept looking at me like I was going to blow up his car. Sheesh. Just send my stuff to Damascus, OK?